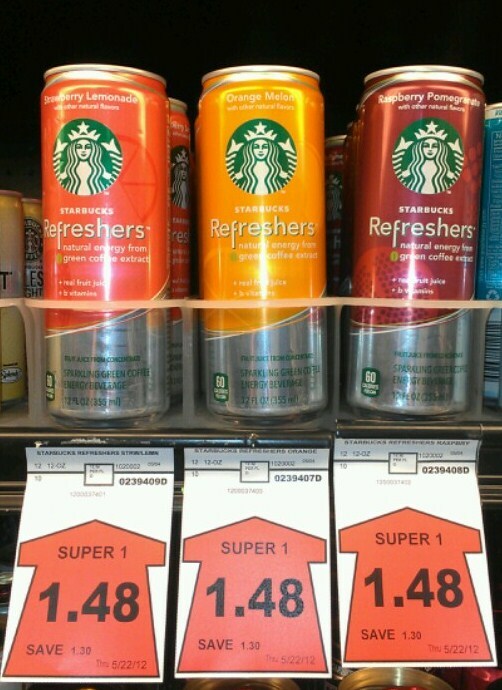 A few weeks ago I had gotten some coupons for Starbucks Refreshers. I had never tried them, but figured it wouldn't hurt to hold on to the coupons, in hopes of catching them on sale. A couple friends had tried and liked them, so I really wanted to taste them for myself, but I refused to pay almost $3 for one. 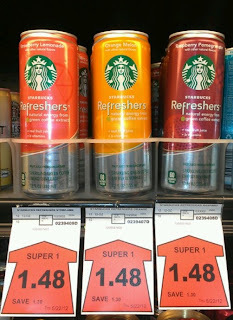 To my surprise... they were on sale at out local grocery store this past week, so I got two of each flavor. At times like this, I really wish I had more coupons! 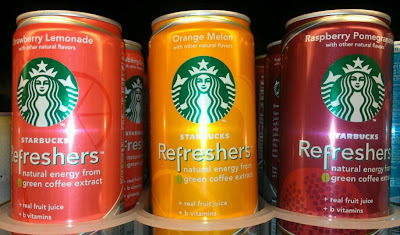 Combined with real fruit juice, B and C vitamins and ginseng, Starbucks Refreshers are a sparkling low-calorie boost of natural energy! They are all delicious, but I think my favorite is Raspberry Pomegranate! Have you gotten any great coupon deals recently?